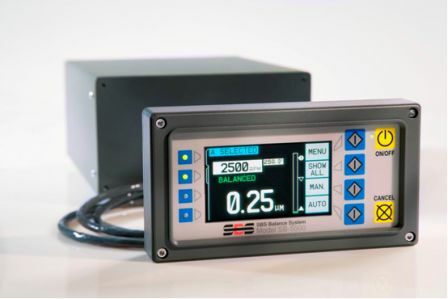 The SB-5500 series are the latest fully automatic balancing controllers from SBS - succeeding the older SB-4500 series. The range features all-digital electronics and reduced frame size of modular type construction. This allows up to four balancers and/or AEMS acoustic emission monitoring systems to be run from one controller. This is very useful when machines are clustered in close proximity in a Kaizan type grinding cell, or when a grinding machine has two or more grinding spindles. True dual-plane balancing is also available for machines with twin wheels on a single spindle. Driven by input from grinding machine OEMs, it is the first balancer and gap-crash system to offer Chinese language firmware. 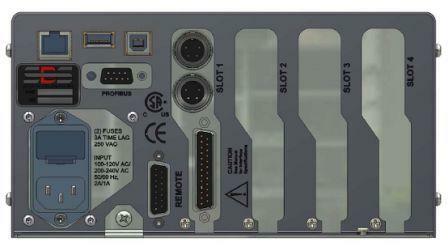 Advanced CNC interfacing options come as standard, and these include Profibus, Ethernet and USB. More traditional 25-pin D-sub hardwire interfacing is still included, and this mimics the SB-4500 unit making a machine upgrade to SB-5500 electronics straightforward and quick. The SB-5500 has a large, visually pleasing colour TFT screen, meaning machine events can be seen easily with the option to be connected remotely. Flush mounting for a remote keypad is now available.